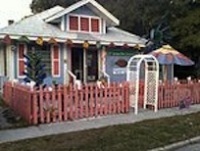 Pictured above: One of the many combination home and art galleries in Bradenton, Florida&apos;s Village Art Center. Before you pull the trigger and start your retirement, do yourself a favor and take our new 10 question quiz. Count your Yes and No answers, and we&apos;ll give you our opinion on whether this is the right time or not. A lot of retirees we know would be happy with Davis for a couple of reasons. 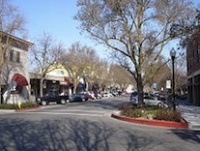 For one, it&apos;s a college town (UC Davis). For another, it is one of the top towns for biking in America, home to the Bicycling Hall of Fame. The Mondavi Center isn&apos;t too bad either. Click on a state to see reviews of 881 great retirement towns, plus capsule summaries of 1,879 active adult communities. 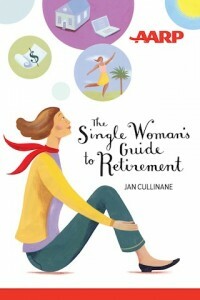 Book Review: "The Single Woman&apos;s Guide to Retirement"
We are so impressed with Jan Cullinane&apos;s new book. And we think your will enjoy this interview with the author (Topretirements member and frequent contributor to the site), who as usual shares some great insights into the tricky situation women face as they enter retirement. Note: If you experience trouble getting to one of our Blog stories, hitthe "Refresh" link in your browser. That should clear up the problem. Located on Florida&apos;s West Coast near Sarasota, Bradenton offers the unusual combination of baseball and art. The Pirates have had spring training here for decades, while Bradenton&apos;s Village Arts Center supports a booming art movement.